So I just did a sales for start ups event with a few Angelpad companies including: Pipedrive, which is a simple way for a company to manage its sales pipeline. 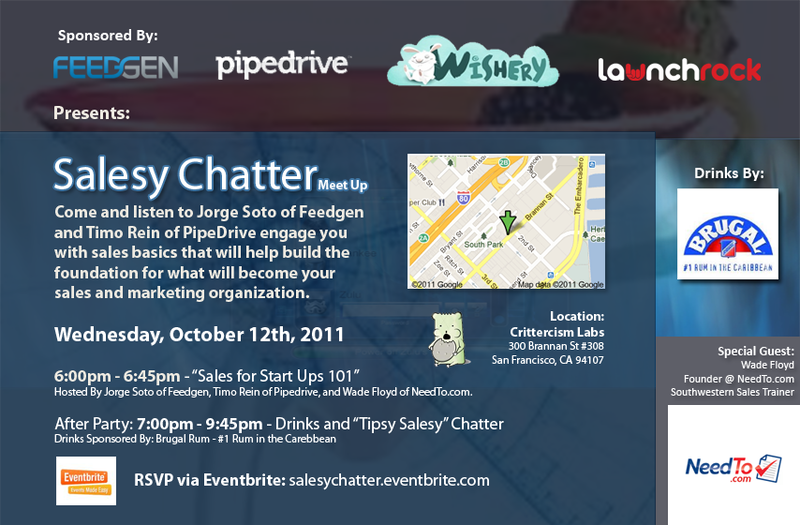 Wishery, wants to improve customer service, sales and marketing with its Gmail add-on. And also our 500 Start Ups friends at LaunchRock, who allows you to setup a viral “Launching Soon” page in minutes. 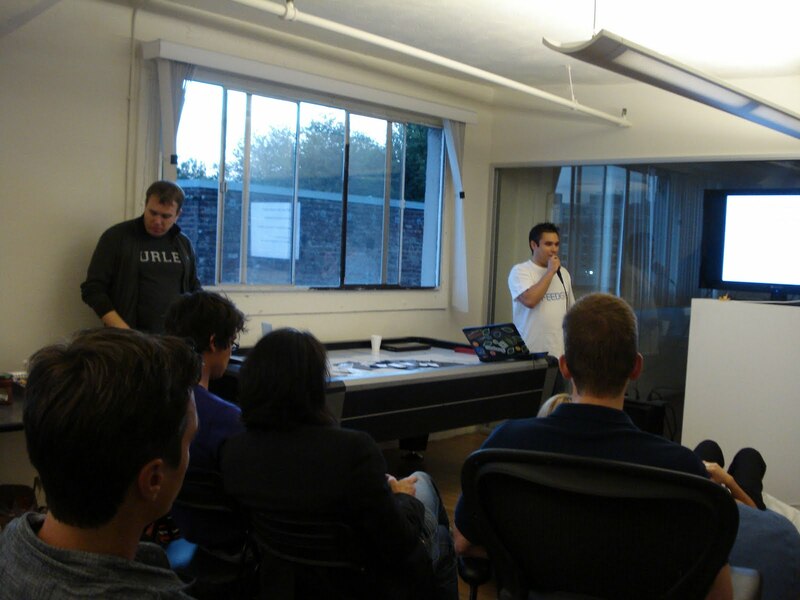 The event was sponsored by Angelpad and Brugan run and hosted at the Crittercism office in Soma, San Francisco. The event was pretty fun. We had about 200 RSVPs for a Wednesday night, and about 80 people showed up which was pretty cool. 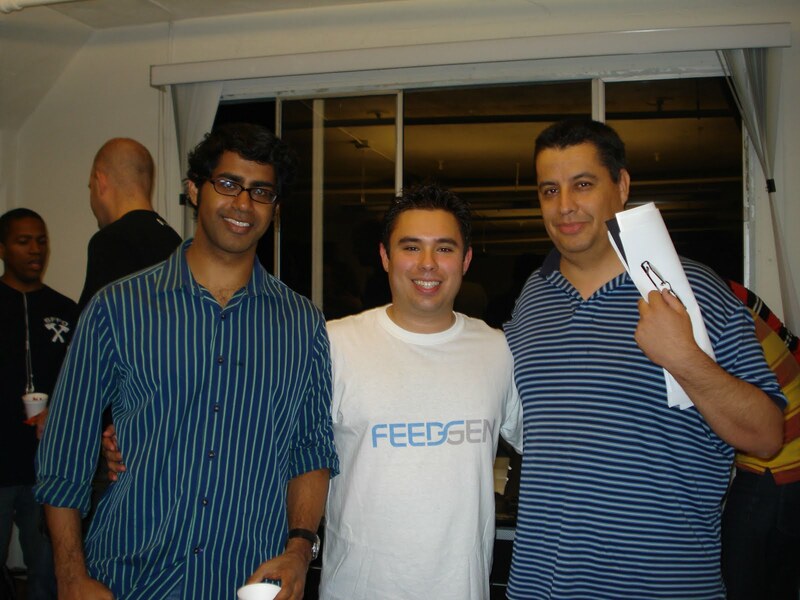 Cooper Marcus, who is the founder and CEO of Wishery, did a kickass job of opening the night by demoing his product and explaining a bit of the stories behind the Feedgen and Privedrive teams. Timo Rein, myself, and The Southwestern Company sales trainer Wade Floyd, spoke to the crowd about leads, sales pipeline, and what is takes to be a top sales producer. What is crazy about this whole night was that people seemed to really appreciate and take the information to heart. I am absolutely excited about doing the next few in the bay area and LA. Wow. It’s about 4:56pm on this San Francisco day…at some point over the last hour I heard folks in my SOMA office mentioning that Steve Jobs just passed away…so I did what we do now days and checked my Twitter..and well, sure enough it was true. Needless to say, it hit me immediately. A deep sadness overcame me — which was followed by tears. A few weeks ago I saw a news story about Steve, which explained his life story. How he was adopted and how he was a dreamer. How he had this me against the world attitude and was always willing to risk everything for these dreams. 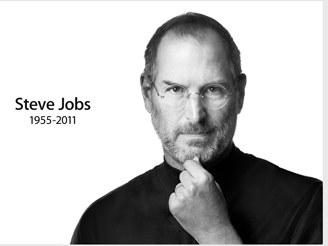 And although, I knew of Mac, Apple and Steve Jobs, I never knew how his outlook reminded me of mine. And at 30 years, I became a Steve Jobs fan. I immediately felt like this hope inside that I was NOT crazy for spending most of my life dreaming and even though I didn’t know him personally, I felt a connection, and almost an obligation to continue to fight for dreamers like us. RIP Steve Job. On behalf of all us dreamers and rebels out there – we will keep the tradition alive.